“As the President and his government move forward they are going to need to consult broadly with Guyanese society, they are going to need to consult with civil society, with the opposition. They are going to need to make sure that the policies that they advance are going to have the broad support of the Guyanese people and not just 51% of the Guyanese people,” Hunt said. 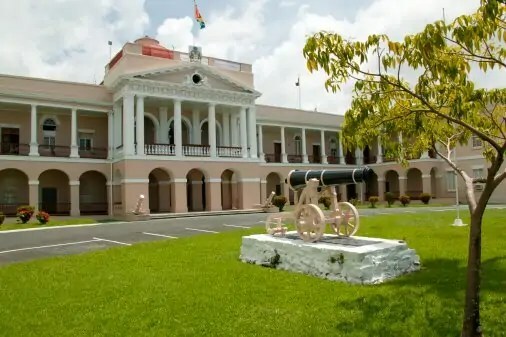 The United States Embassy in Guyana has outlined its expectations of the new APNU+AFC government which it has acknowledged, comes into office with a very slim majority. Chargé d’ Affaires Bryan Hunt in a Thursday morning interview said it would be imperative that the new government’s focus remains on inclusive governance. He made it clear that consultation, dialogue and taking other people’s issues into account are going to be critical as Guyana moves forward. Hunt in the almost 20 minute interview said the U.S government is eager to continue its work with the new government and offered support where it can, particularly in the areas of security and governance. The US Embassy official appears convinced that the new administration will be more receptive to the assistance of the US government. He noted that the United States government is also interested in supporting transparent management of Guyana’s natural resources. To this end, he explained that there have been no discussions with the new government in relation to Exxon Mobil’s discovery of oil in Guyana’s waters. But turning his attention to the 11th Parliament which is expected to be convened within the next week, the U.S Chargé d’ Affaires said he hopes that one of the first items on the agenda of the new Parliament will be the Anti-Money Laundering Bill. “It is going to be very important that Guyana is able to present new legislation as it had promised. The indications I am getting it that it remains towards the top of the agenda and I hope that it will be tabled very soon in Parliament,” he added. Hunt also used the opportunity to defend the Embassy’s pronouncement on the recently concluded elections; maintaining that it was free, fair and credible.